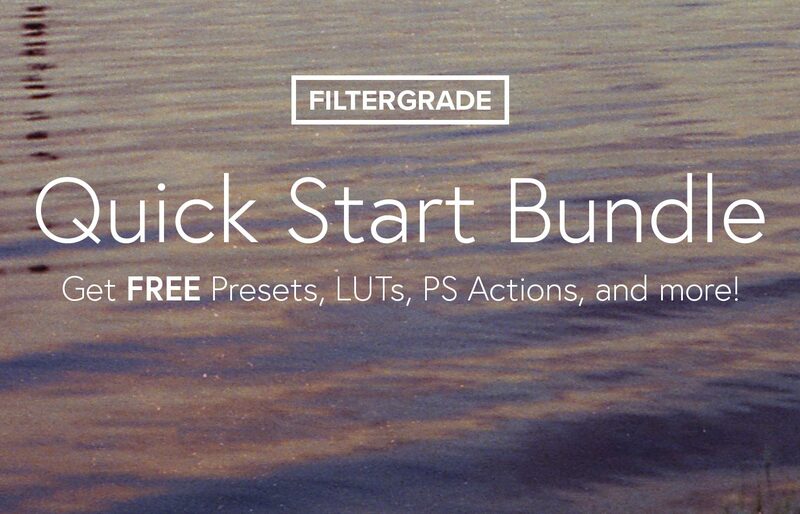 Enter your email below, and we’ll send you the FilterGrade Quick Start Bundle for FREE! The Quick Start Bundle includes Lightroom Presets, Photoshop Actions, Color Grading LUTs, and more to help get you started. Add stunning cinematic effects to your photos and videos with these free files. In addition to the FREE editing assets and overlays, we’ll also send you useful creative tutorials, members-only updates/discounts on new products, and more of the latest news in the photography and technology world! Join the FilterGrade Newsletter by entering your email below. Then look for our Welcome Email with your free Quick Start Bundle download.